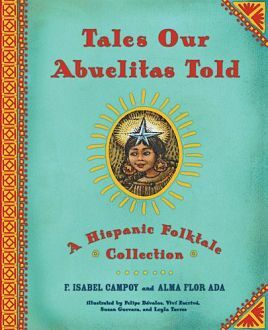 Book Giveaway: Tales our Abuelitas Told/Cuentos que contaban nuestras abuelas! Thanks for stopping by the blog this week! In light of the upcoming celebrations for Día de los Muertos, I am featuring a great short film (about three minutes in length) that really moves the viewer to understand the meaning and importance behind Día de los Muertos. 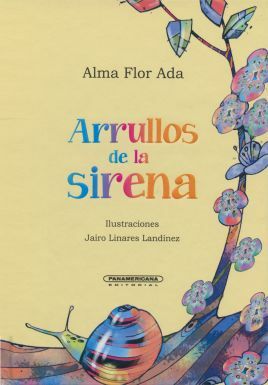 Book Giveaway: Arrullos de la sirena, The Rooster who went to his Uncle’s Wedding, The Three Golden Oranges, The Lizard and the Sun/La lagartija y el sol, Rosa Raposa! I want to start by saying thank you to all who continue to comment each week and by saying congratulations to the winner of last week’s giveaway! This week, we are giving away a bit of a bigger package. This week’s giveaway includes Alma Flor Ada’s Arrullos de la sirena, The Rooster who went to his Uncle’s Wedding, The Three Golden Oranges, The Lizard and the Sun/La lagartija y el sol, and F. Isabel Campoy’s Rosa Raposa. Whether you’re joining for the first time or you stop by frequently, thanks for checking out my post this week! In light of the upcoming celebrations of Día de los Muertos, I wanted to highlight one small detail involved in the holiday that sometimes gets overlooked: the Monarch migration! These butterflies fly south for the winter, sometimes over 100 miles per day as they migrate from the United States to southern Mexico. The Monarch Butterflies are a small detail among many in the celebration of Día de los Muertos; however, this detail is of particular importance because many people believe the butterflies migrating are the souls of their ancestors returning to celebrate the holiday with them. To all who are joining for the first time or who are following the posts each week, thank you for stopping by the blog! We are kicking off the new month by celebrating and acknowledging the personal histories of our families and communities. In light of this focus, I thought I’d emphasize the importance of oral histories, traditions, and story-telling by highlighting a few interconnected resources, with a focus on La Llorona! As Keira mentioned in her “Sobre Octubre” post, the myth of La Llorona can serve as a means of understanding story, history, and memory. Her’s is a story that has been passed down as a myth among generations. By looking at how her story has endured and evolved, we can open up conversations about storytelling and oral histories within our own families and communities. So, the first resource I highlight here details how the Latin American legend of La Llorona (the wailing woman, the weeping woman, the crying woman) has developed and changed throughout the years, both in Latin America and in the United States. The website also has a number of interviews from community members, each of whom give a different account of La Llorona’s history, as they have been taught by their families. I particularly enjoyed the clips that described who La Llorona is, what she looks like, and what traditions have come about in her honor/memory. These interviews, along with the timeline, can be a great way to start conversations not only about La Llorona, but about storytelling and oral histories as a means to transfer traditions from one generation to the next. The second resource is a lesson plan created to help teach students how to be storytellers with their own traditions and histories. The teacher starts by giving an example of an oral history, like La Llorona, and then proceeds to work with students to create their own stories. This lesson plan is particularly interesting because it allows the teacher to connect the process of storytelling to the genre of ancient epics and serves as a bridge from the students’ own personal experiences to literature written many generations ago. The lesson plan has been aligned to the Common Core State Standards in New Mexico for grades nine through twelve, which are detailed under the standards tab for each grade individually. This plan also links to other related resources that can be used in conjunction with the one I have included above. Using La Llorona as a starting point, the students can interactively create their own oral histories with the help of the lesson plan provided above. Even further, teachers can use commonly talked about oral traditions to connect what the students already know to what they need to learn! These resources can help incorporate Hispanic Heritage into common curriculum requirements, reviving the standard curriculum and making it more relatable. 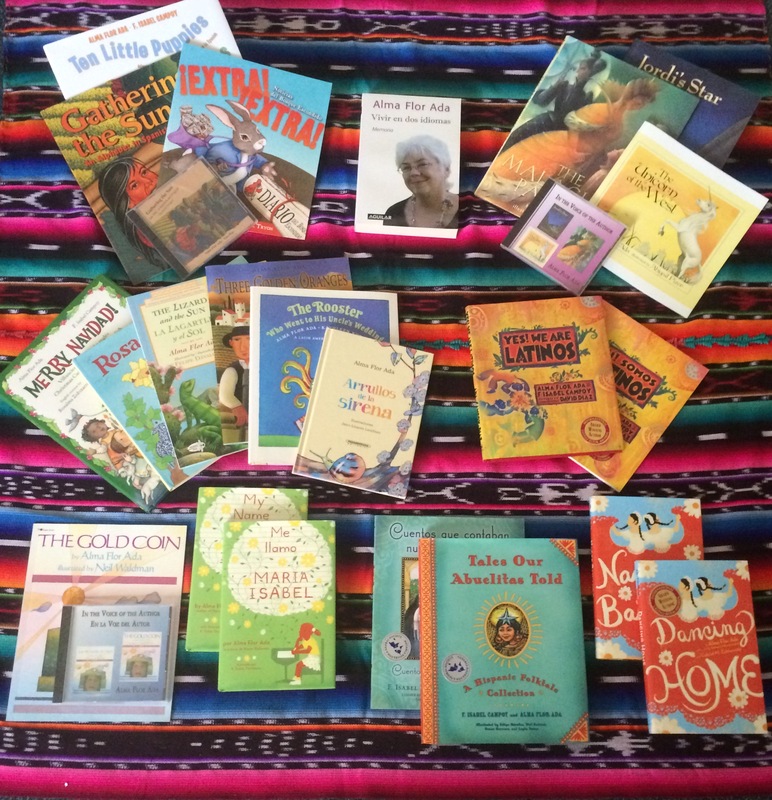 I hope these resources can bring to you and your students a new perspective on reading and relating to older materials, all in time for Día de los Muertos! Image: Photo of “La Llorona” Signs. Reprinted from Flickr user baldiri under CC ©. 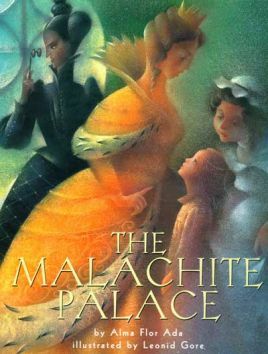 Book Giveaway: The Malachite Palace, Jordi’s Star, The Unicorn of the West, AND Alma Flor’s Narration of Them (CD)! Congratulations to the winner of last week’s giveaway and thank you to all who commented! This week, you can win three of Alma Flor Ada’s books and her narration of them on CD! The three books are The Malachite Palace, Jordi’s Star, and The Unicorn of the West. As you may have realized, I have been posting every Tuesday about books you can win simply by reading and commenting on the post! This series of Tuesday Giveaways, made possible by Alma Flor Ada and F. Isabel Campoy, is nine weeks long and truly offers something for every one of our readers! Vamos a Leer is overseen by the Latin American & Iberian Institute (LAII) at the University of New Mexico. The blog supports K-12 teaching about Latin America by providing resources to educators, including lesson plans, author + book suggestions, and related materials. Help us get our resources out to more educators and community members! Enter your email address to follow this blog and receive notifications of new posts by email.